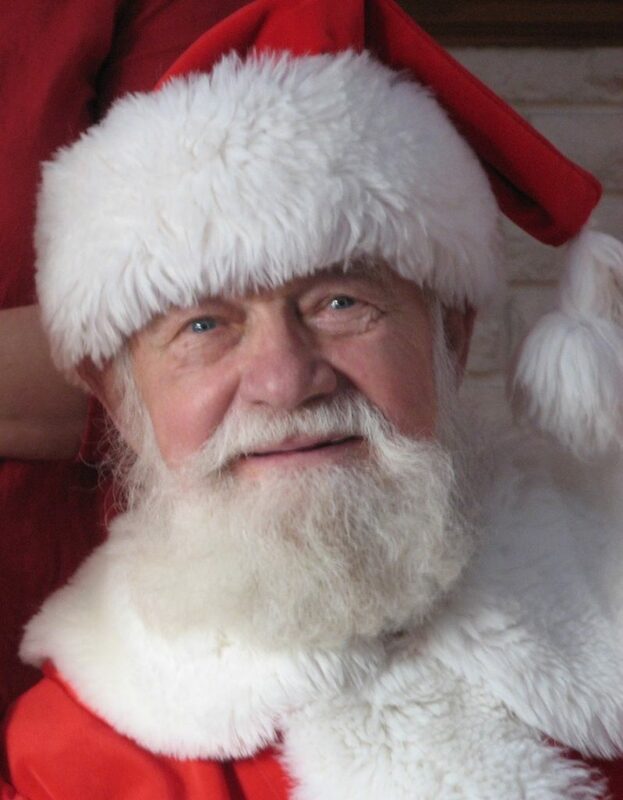 Emil Kletke or Santa Claus as he was most affectionately known to most of the people in our town, was one of the truly great people of our community. Having played and excelled in numerous sports, and representing our country in World War II he settled in Lansing, and began his adult life after the war was over. Emil learned at an early age that it was far more important to give…rather than receive. No one is really sure when he started to take on the characteristics of Santa Claus but when he did…oh my gosh what an impact he made on so many children’s lives. For more than half a century he brightened the lives of so many people with his 365 days a year spirit of Santa Claus, but it was really ramped up during the Christmas Holiday Season. Santa, or I mean Emil would spend all his time visiting and listening to the hopes and wishes of so many kids who adored him, the other time was spent giving gifts to those precious children, making sure that they had a Christmas, and no one was left out. He visited so many hospitals handing out gifts to the kids who could not be home to celebrate Christmas. I knew Emil Kletke, he was a great man, and somewhere high above us he is still a great man. Unfortunately not that long ago we lost our Santa Claus at the age of 91, or did we? You only need to look into his eyes of the picture above to see what the look of Love, really looks like.